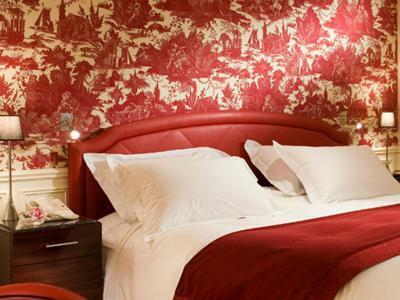 Lock in a great price for Hotel Le Royal Lyon - MGallery by Sofitel - rated 8.8 by recent guests. The location is fantastic and the staff are vety helpful. Great position, excellent breakfast, comfortable room. 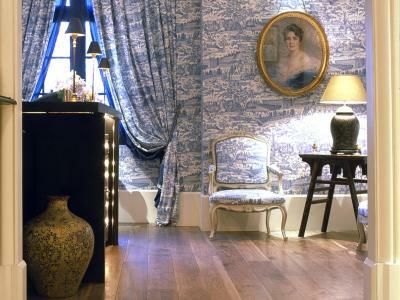 This beautifully decorated boutique hotel has far exceeded my expectations. 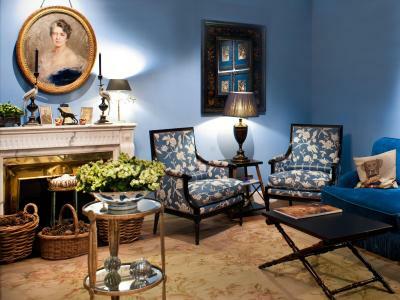 Elegant, charming, excellent location, helpful staff. 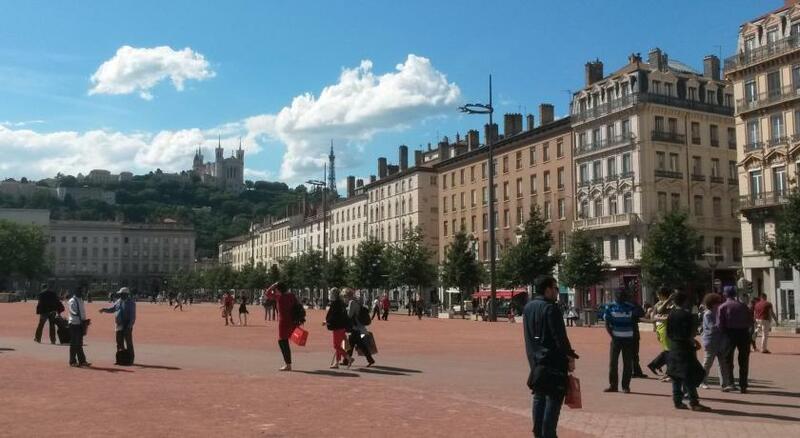 Easy to walk to Vieux Lyon and most locations. The metro is right at the doorstep. 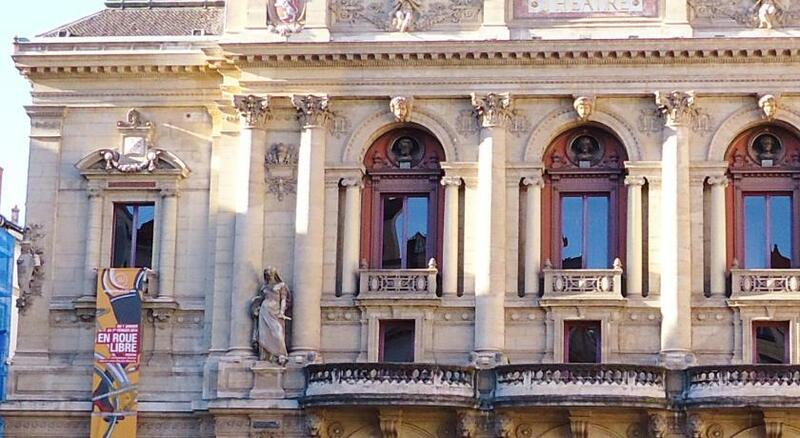 It made my stay in Lyon highly memorable, so I’d fully recommend. The staff and the breakfast was excellent. Excellent eggs made in front of you, great cakes, smoothies and a great service overall! 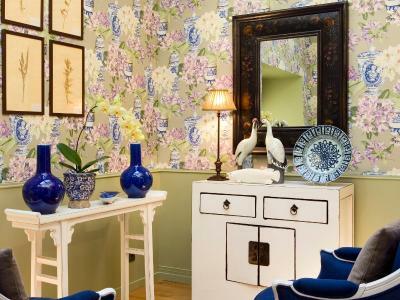 It is a very charming hotel, with good rooms and services, plus a wonderful location. Defiantly good location and historical place, and very atmospheric inside. 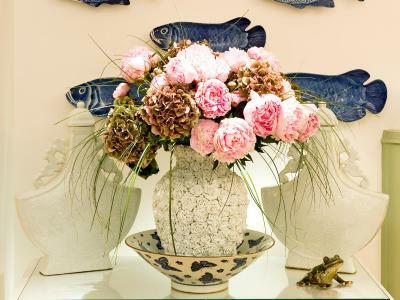 A lot of interesting pictures and statuettes, vintage interior. 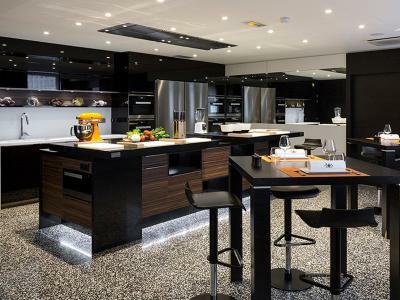 The interiors, the kitchen/breakfast space and the very central location. Lovely staff at the Hotel Royal, we felt really welcomed and enjoyed our stay. Even if the room we had was facing the inner court and lacking some natural light in my opinion, the decoration is really nice and overall the hotel is absolutely beautiful. 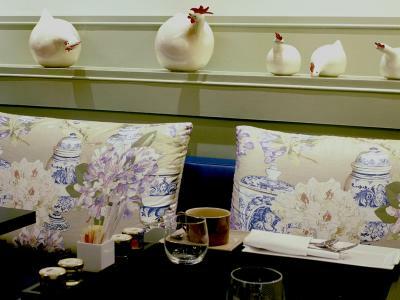 Go for their breakfast at the reception, plenty of options available and again the staff is super friendly, it's definitely worth it. 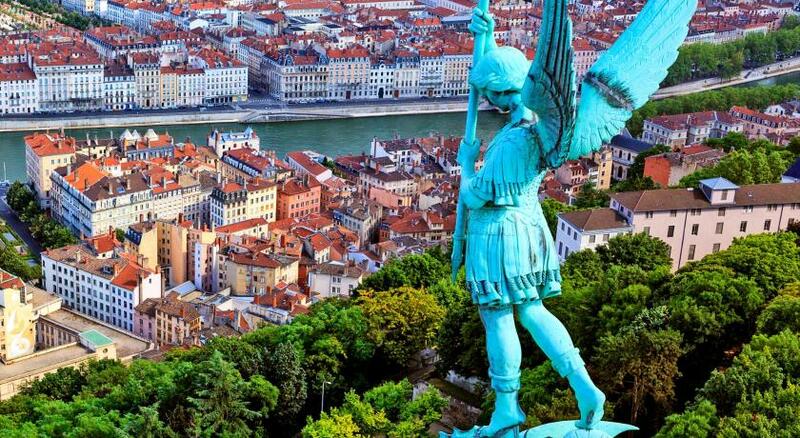 Location is a huge bonus as you can go anywhere in Lyon in walking distance (restaurants, landmarks, etc) or take a short Uber to wherever you need to go. I would definitely come back for my next trip in Lyon! The staff were very helpful and polite at all times. We were given assistance in finding restaurants and general directions. Breakfast was a highlight. The hotel was in a great location which made getting very easy. 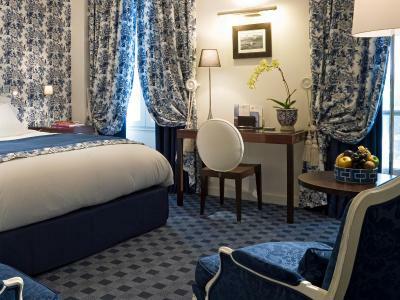 Overlooking Place Bellecour in the centre of Lyon, Hôtel Le Royal Lyon - MGallery Collection is just a 10-minute walk from Lyon's Old Town and 3.1 miles from Cité Internationale. 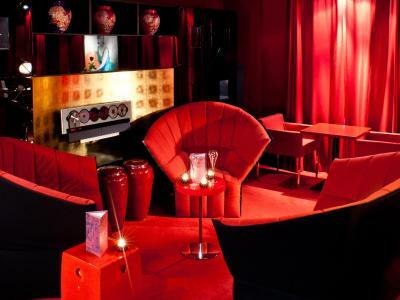 This 5-star hotel offers a lounge bar and free WiFi. 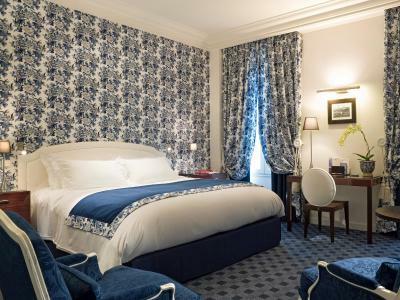 The air-conditioned guest rooms and suites Hôtel Le Royal Lyon feature a flat-screen HD TV and a minibar for an additional charge. 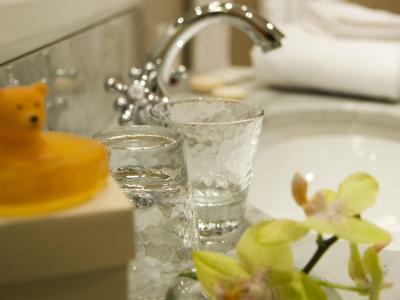 The private bathrooms have a bath or shower, bathrobes, a hairdryer and slippers. 2 bottles of mineral water are offered upon arrival. Breakfast can be enjoyed in the guest's room upon request. 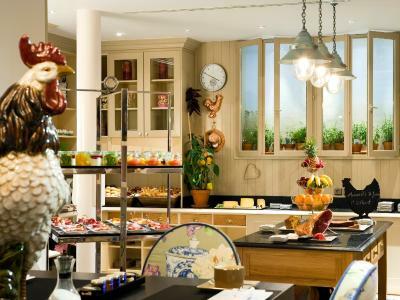 The hotel's restaurant 'l'Institut' serves food prepared by chefs from the well-known Paul Bocuse Institute. 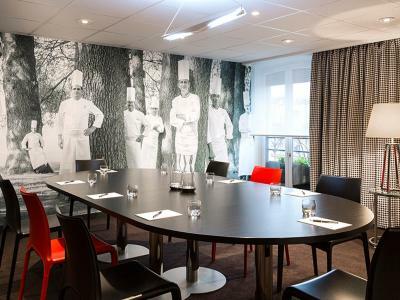 Gourmet cooking classes can be taken above the restaurant. 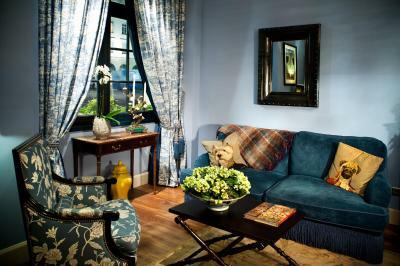 A concierge service, 24-hour room service and valet parking service are available upon request. 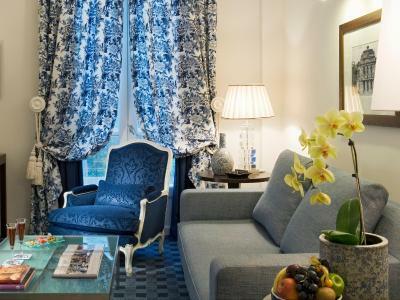 Situated right next to Bellecour Metro station, Hôtel Le Royal Lyon - MGallery Collection is a 18-minute walk from the Fine Arts Museum and 1.9 miles from Confluence museum. Part-Dieu Train Station is 2.5 miles away and Perrache is a 14-minute walk away. Private parking is available for an additional charge upon reservation. 2nd arr. is a great choice for travellers interested in shopping, food and restaurants. 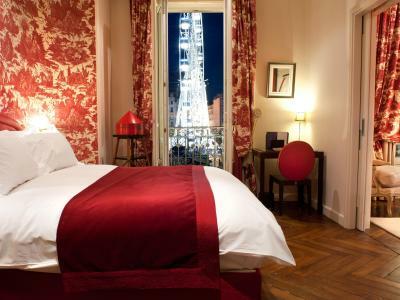 This is our guests' favourite part of Lyon, according to independent reviews. 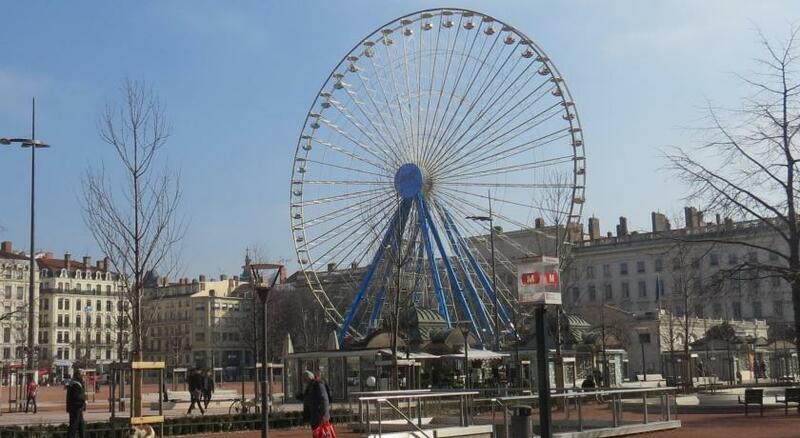 This property also has one of the best-rated locations in Lyon! Guests are happier about it compared to other properties in the area. 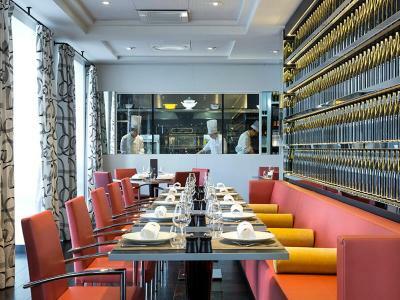 Hotel Le Royal Lyon - MGallery by Sofitel has been welcoming Booking.com guests since 10 Jul 2008. 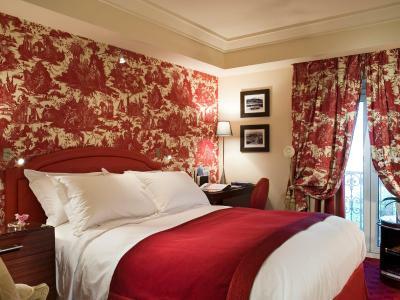 When would you like to stay at Hotel Le Royal Lyon - MGallery by Sofitel? This double room features a flat-screen TV, a minibar (mineral water offered), a safety deposit box, a coffee machine, air conditioning, bathrobes and slippers. This room can be provided with twin beds upon request and according to availability. This single room features a flat-screen TV, a minibar (mineral water offered), a safety deposit box, a coffee machine, air conditioning, a bathrobe and slippers. 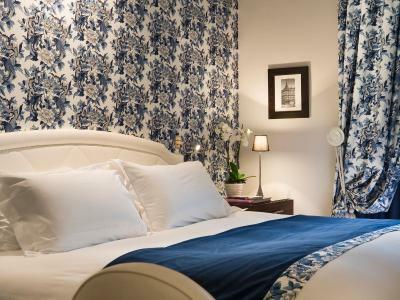 When booked for 3 people, this room features a very large double bed and en extra bed for 1. 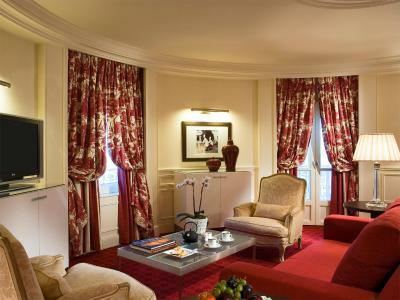 House rules Hotel Le Royal Lyon - MGallery by Sofitel takes special requests - add in the next step! 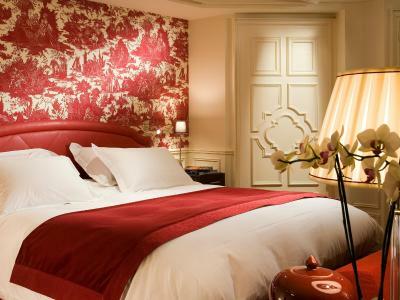 Hotel Le Royal Lyon - MGallery by Sofitel accepts these cards and reserves the right to temporarily hold an amount prior to arrival. 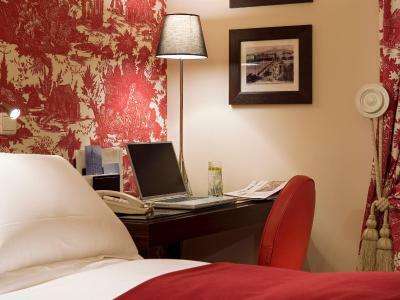 Extra beds are only possible in the Superior Double Room - City Side. One of the most picturesque neighbourhoods in Lyon! The hot water in our bathroom was not working the first night, once we let them know they took care of it. 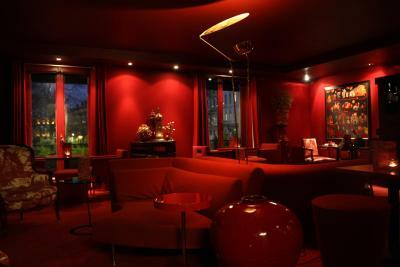 We enjoyed our 2 night stay in Lyon in part because the hotel was centrally located near amazing restaurants and shops. Steer clear of room service. Portions and quality resembled that of a coach airline meal. a less expensive breakfast menu. the breakfast was fab. but little pricey! but lovely presentation in a beautiful setting. Breakfast area a little small. Food was excellent. Location and comfort of the hotel. It's was not meet what I had expected. The hotel name is Gallery but the design is not in the look of art. And also, the facility so poor which need to improve. The price is too high to compare with what customers get.